The cockroach life cycle begins when a female lays an egg case. Some species of cockroaches carry the case around until it is time for the eggs to hatch, and then deposits it in a safe place, while some species deposit it immediately after it is laid. It may take 8 to 12 weeks for the eggs to hatch. Baby cockroaches known as nymphs then mature into adults after a few months. Once a baby cockroach emerges from the egg sac, it is white in colour. After a short time, its skin will darken to a deep brown. These nymphs look like adults but are much smaller and lack wings. As they grow, baby cockroaches undergo several molts before reaching full maturity. Just like the adults, baby cockroaches can carry bacteria on their bodies. They transfer these pathogens through contact with food and utensils. Molted skins, saliva, and waste from young cockroaches may also trigger allergic reactions in some people, especially those with asthma. Steps taken to prevent adult cockroaches will also prevent the nymphs. Homeowners can take steps to prevent or remove baby cockroaches. While these tips may help prevent cockroaches from breeding indoors, proper removal often requires professional pest control help after an infestation. Because cockroaches deposit their egg sacs in dark, hidden areas, treating for only the visible adult pests may entirely miss this next generation and insecticide treatments do not kill the egg cases. 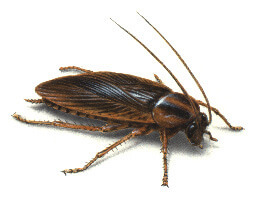 Homeowners with baby cockroach problems can contact Orkin Canada for an effective pest removal plan.